After a normal day, I take in a ballet at night. It’s contemporary music and dance. Excitement stirs. 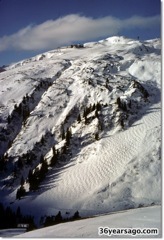 Plans for a skiing vacation are formulating. I talk a bit about my regret of not traveling more in life. Damn Euro/dollar ratio. Damn time. I enjoy my first ballet in Vienna—Swan Lake. There are men in tights, women in tutus, and lots of tippie-toes.